Michael C. Pacholski, an associate with the firm, graduated from Temple University in 2012 earning his Bachelor of Science degree in Sport and Recreation Management. He received his Juris Doctor from Rutgers University School of Law Camden in 2016. During his time in law school, Michael focused on pro bono work, participating in the Rutgers Estate Planning Project, Mediation Project and Civil Practice Clinic. 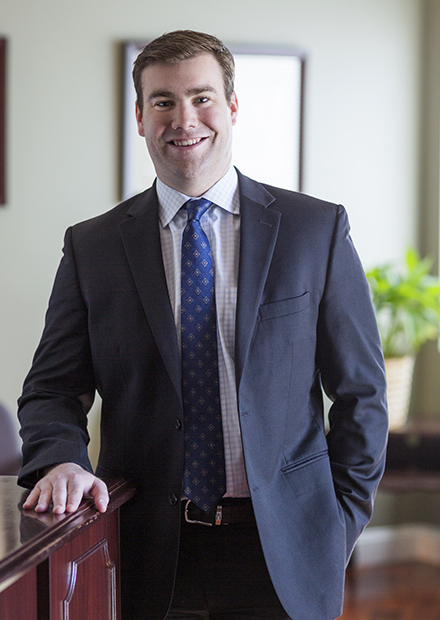 In addition to his pro bono work, Michael clerked for the law firm of Madden & Madden, P.A., assisting in civil and commercial litigation and estate planning and administration. Immediately following law school, Michael clerked for the Honorable Anthony M. Pugliese, P.J. Cv., in the Camden Superior Court. Michael is admitted to practice in both New Jersey and Pennsylvania. Since joining Stahl & DeLaurentis, he has focused hi practice on general liability and medical malpractice litigation.